The new HD Guide is here! 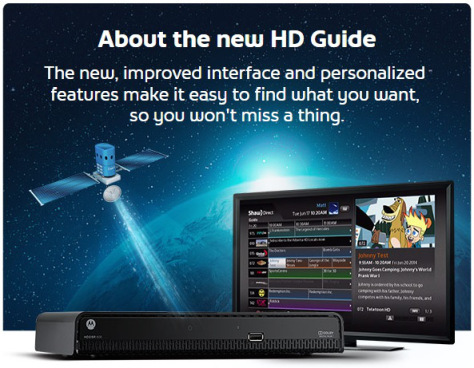 Introducing: the new HD Guide! The new guide interface is more intuitive, delivering an industry-leading customer experience. The HD Guide user interface offers many improvements when compared to the SD Guide, including: faster navigation, redesigned menus to ensure optimal usability and enhanced shortcuts/preference functionality. The HD Guide is available for 6XX series receivers only. Legacy receivers (including 5XX HD receivers) will not be updated. Instant Pay-Per-View (IPPV) ordering: the IPPV order feature has been removed from the 6XX series. The phone line will remain for caller ID only. IPPV will continue to be available on all legacy receivers. Three different font sizes are available, controlling the number of rows of data in the guide, plus two different program colouring options. These settings can be changed at any time by pressing the following: Options // Preferences // User Settings & Appearance. MiniTune: You can press the ‘B’ button from the guide to immediately tune the video window to the selected channel, while maintaining your current position in the menu. MiniPlay: For customers with an HDPVR 630, MiniPlay functions the same way as MiniTune, but within your list of recorded programs. You can press ‘B’ to begin playback of the selected program in the video window, while maintaining your current position in the PVR list. Show clear ordering instructions and ID above the movie description. Be notified that the purchase has been successful once it’s been ordered through the IVR. Purchased program are identified by a checkmark in the guide, PPV Store, and ‘Upcoming Airings’ screens. 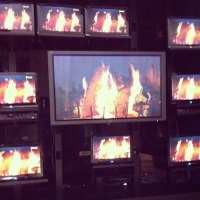 Our HDPVR has an overlooked feature: the ability to look for the episode on multiple channels. 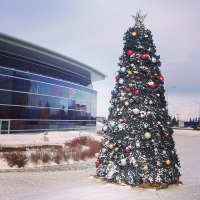 This feature, in conjunction with the fact that Shaw Direct carries channels from every Canadian time zone, effectively eliminates recording conflicts. The HDPVR allows you to record from ‘HD only’, ‘SD only’, or ‘All channels’, rather than a single channel. Descriptive information written in user-friendly language. You can also edit your recording preferences by pressing ‘Enter’ on the program and selecting the new menu option. When customizing a particular recording event, you can now access a ‘More Channels’ selector to change the channel you want the recording to take place on. Multi-User Mode: Up to eight users can have their own preferences applied at login, in addition to parentally-defined permissions, locks, and restrictions. The current profile can be changed at any time by pressing the FAV button on the remote. Each profile can have a unique PIN. Users can be copied to a USB key for transfer to another satellite receiver. Single User Mode: It uses the same approach as before, wherein a single set of restrictions is applied consistently and unlocked individually on an ad-hoc basis. While Multi-User mode generally does not present a PIN challenge upon encountering locked content, Single-User mode does. 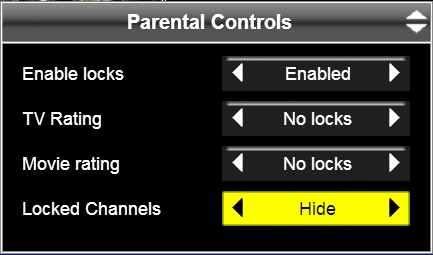 When migrating from SD Guide with the Parental Controls enabled, you will be placed into this mode by default. You can switch between Single and Multi-User modes whenever you want. If set, a PIN is required to make this change. The Notification Bar replaces the ‘Alert’ (!) icon used in the SD Guide and will notify you of Caller ID, PPV purchases, reminders or auto-tunes, dual recordings, and more. It also displays the signal strength, Internet connectivity status (for VOD), HDD space (HDPVR only) and number of active reminders. Press the ‘Down’ arrow while watching TV to show the notification bar. The A, B and C buttons on the remote control serve as shortcuts in a number of different windows – try them out! New ways to search for content: Keyword Search and Category Search. Press Menu // Search to see the different categories. Redesigned Video on Demand store. Now go on and play with your new HD guide! eBilling – Easy as 1, 2, 3! Wait! Who said you didn’t have super powers?! Whoever it is, go tell them off! Seriously, though. You most definitely can do your part to make the world a better place. Heck! You’re probably already doing so! However, some of those many ways combine the useful with the pleasant. Take electronic billing for instance. Not only you get a notification through email as soon as your invoice is issued, but you also contribute to reduce the amount of paper in circulation. It’s somewhat like planting a tree with every electronic invoice you get. 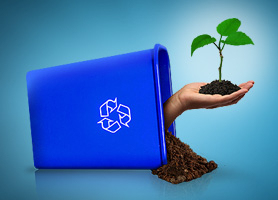 A green environment is a healthy environment! Hey! Put down that paintbrush and that green paint bucket! That’s not what I meant. If we want to successfully make the world a greener place, we need to take the little details into account. After you sign up for electronic billing, you might want to have a personal account on our website. When we send your monthly billing summary via email, it is good practice for you to click the link to the detailed bill. That way you will be kept in the loop if we make any announcement. Besides, there are tons of things you will be able to do once you create an account online. Things like changing your programming, making a payment, viewing PDF versions of your invoices (those are very printer friendly), etc. You can top it all off with an automatic withdrawal. The ways you can do this are literally endless. You can contact us to have it set up or… take a wild guess… Yup! You can also set up preauthorized payments through your personal account online. With instant invoice delivery via email, automatic payments through credit card or your bank account, the ability to manage your account online, all the power is yours. Now you can simply sit back, relax, and let it all flow smoothly on its own. You can see more details here. We thank you for your efforts towards a healthier environment. Did you know that you can refer your friends or family members to Shaw Direct and receive a free month of service in return? With our Refer-a-Friend program, it’s simple! If the person you refer opens an account with us and keeps it open for at least 60 days, we’ll cover your bill for one month. Do you have a bunch of people you’d like to refer to us? Go right ahead! For as many people you refer to us that sign up and stay for 60 days, we’ll give you the same number of free months. Pretty cool, right? So, how does our Refer-a-Friend program work? All you have to do is fill out a form on our website. Once we have the information, we’ll take care of contacting your referral and getting them ready to go! The day their equipment is installed and their service is turned on is the day the countdown to your free month begins. We automatically go through all of the referrals we receive, and assign the credit for your account once the 60-day period is up. – Referrals can only be brand new customers, or former customers who have not had service for at least six months. – The programming credit is non-transferrable, so it can only be applied to your account. It also has no cash value. – The programming credit covers your base programming package (so, if you have Digital Favourites with a Take 2 added on, we’ll cover the cost of Digital Favourites only), and excludes applicable taxes. – In order to receive the credit, your account (the referrer) will need to be current with payments. Have any questions about our Refer-a-Friend program, or anything else? Let us know in the comments! 1. An early predecessor of the projector existed around 1650. This was called the “magic lantern,” and consisted of a translucent oil painting, a very simple lens, and a candle or oil lamp. The images would be projected in a darkened room, and often were used to convince viewers that they were witnessing something supernatural. 2. The flip book was patented as the “kineograph” in 1868 by John Barnes Linnett. 3. Thomas Edison announced the creation of a device he called the kinetoscope in 1889. This projected a 50 foot length of film in about 13 seconds. 4. Charles-Émile Reynaud is considered the pioneer of projected animated films. After inventing the praxinoscope, his animation Un bon bock was the first he showed publicly in 1892. It was shown alongside Le Clown et ses chiens and Pauvre Pierrot. In 1910, Reynaud threw most of his films into the Seine in Paris. Pauvre Pierrot is one of two that survived. 5. The first entirely animated film recorded on standard picture film was created in 1906. This was called Humourous Phases of Funny Faces, and was created by James Stuart Blackton. This featured scenes drawn on a chalkboard. Blackston is considered the father of North American animation. 6. In 1908, Émile Cohl created the first animated film using what became recognised as traditional animation – hand-drawing the images on paper. The film, called Fantasmagorie was made up of 700 separate drawings (cells), and is about 80 seconds in length. 7. Not one to stop trying new techniques, Cohl created another animation called En Route in 1910, which was the first paper cutout animation. This allowed the animator to save time by simply repositioning the paper drawings rather than having to redraw each new cell. 8. Walt Disney owned a studio in Kansas City called Laugh-O-Grams prior to opening Disney Studios. It went bankrupt in 1923, which is when Disney moved to Los Angeles and opened his new studio. 9. Disney originally wanted to call his famous mouse Mortimer. His wife disliked the name and suggested Mickey instead. 10. 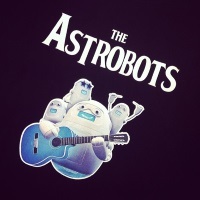 The first time computer animation was used for an entire film was with Toy Story in 1995. The last film of the franchise, Toy Story 3, was the first animated film to earn more than $1-billion worldwide. You may have heard the phrase “Sun transit” before regarding a twice-yearly natural phenomenon that may cause temporary signal loss. But, what exactly is Sun transit? Sun transit is also known as a “sun outage,” or “sun fade.” During the Spring and Autumn each year, the Sun lines up with all satellites in orbit, which can cause interference with services down here. This happens due to a massive amount of thermally generated radio frequency noise from the Sun. The interference can range from a bit of snow on your screen to a complete loss of services. Some people might not even notice any issue. Sun transit impacts every satellite in orbit, so all satellite service providers and even cable providers may experience issues while this is happening. Because we currently have two satellites, the estimated interference times are different for each satellite, so you might lose signal on an English standard definition channel at a different time than on a high definition or French channel. At this point, information for Anik G1 is not yet available as this is the first Sun transit the satellite has experienced. If you are missing any of the newest channels that we’ve added during the month of October, and the outage lasts for only a few minutes, chances are that it was Sun transit. If the outage lasts more than 20 minutes, there could be an issue with your system, and we recommend contacting us. If you want estimated times more specific to where you live, Telesat offers a sun transit calculator on their website. Just make sure you’ve selected Anik F1R and Anik F2 for your satellites, “Ku” for your frequency band, and 1 metre for the antenna diameter so you get the most accurate results. It’s not exact as our satellite dishes are smaller than a metre in diameter, but it will give you a pretty good idea of when to expect interference. So, what are some things that could help you during Sun transit? If you are experiencing any loss of signal, wait until the estimated time for interference is over before trying any resets or calling in for troubleshooting. Wait until after the estimated interference time for your area is over prior to activating any new receivers, or adjusting your dish. If you are a fan of Pay Per View movies, it might be a good idea to order something that isn’t during the estimated interference time so that you don’t miss part of your show. If your service interruption continues after the estimated time (give or take about 10 minutes), please contact us for assistance. On that note, if you have any questions regarding Sun transit, or anything else, feel free to leave us a comment! 1. The Baikonur Cosmodrome was founded in 1955. 2. Sputnik, the first artificial satellite to orbit Earth was launched from here on October 4, 1957. 4. Valentina Tereshkova followed Gagarin shortly afterwards, becoming the first woman in Space on June 16, 1963 in Vostok 6. 5. The first piece of the International Space Station (called Zarya) was launched from the Baikonur Cosmodrome on November 20, 1998. The main component of the Russian section of the ISS (Zvezda) was later launched on July 12, 2000. 6. A town named Leninsk was built around the Cosmodrome to provide housing, schools, and other amenities to those who worked there. Leninsk was renamed to Baikonur in 1995. 7. Baikonur is home to the world’s largest industrial railway, which is used to transport spacecraft and other parts required through all stages of launch preparation. The railway is 1524 mm gauge (also known as “Russian gauge”), which means that there is 1,524 mm – five feet – between the wheels on the train cars. 8. The Cosmodrome takes up more than 14,000 square kilometres, stretching 160 kilometres east-to-west, and 88 kilometres north-to-south. 9. The Russian government leases the land that the Baikonur Cosmodrome is situated on land in Kazakhstan for a fixed rate of $115 million USD per year. The agreement lasts until 2050, although Russia is in the process of building the Vostochny Cosmodrome to reduce dependency on Baikonur; construction is slated for completion in 2018. 10. Czechoslovakia, Poland, India, and France were among the countries that began developing their space programs at the Baikonur Cosmodrome under the Interkosmos Program. We carry a wide selection of programming for audience members of all ages. Of course, this means that there may be content that you don’t want the young ones in your home to view. That’s where parental controls come in. 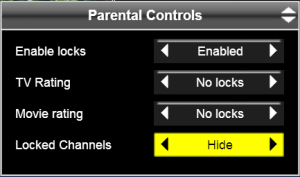 Parental controls on the Advanced 600-Series receivers allow you to enable locks specific channels, and certain ratings for both TV shows and movies. Rating information is provided by the individual broadcasters, and this information is entered into our interactive programming guide. When you’re looking at a show that is listed in the guide, press INFO on your remote to see what the rating is. Certain shows (for example, documentaries or older programs) may not have ratings assigned to them. If you’re concerned about potential content in unrated programs, the 600-Series also allows you to lock content without ratings, too. The first time you enter this menu, you’ll see a prompt asking you to enter a four-digit code for your parental locks. Choose your code (as a tip, don’t use something like the last four digits of your phone number, or something like a birth date as these may be common knowledge in your household), and then press ENTER. You will then be asked to confirm the four-digit code you just entered. Punch this in, and press ENTER again. You’ll now see a screen pop up called “Parental Controls.” The first thing you’ll want to do is highlight the line for “enable locks,” and scroll to the right using the arrow keys until you see “enabled.” This will turn on the locks that you’ll set momentarily. The next two lines will be “TV rating” and “Movie rating.” Highlight whichever you’d like to edit, and then use the right or left arrow keys to scroll through the different ratings. As a tip, the rating you choose means that that rating, and anything above it will be locked. So, if you choose to lock PG for TV ratings, 14+ and 18+ will also be locked. Next, you’ll see “locked channels.” Use the left or right arrow keys to either “hide” or “show” channels with locked content. The option just below is “locked” programs, which you can do the same with. After this, you’ll see “channel locks,” which allows you to lock the content of a specific channel. Below this is “change password,” which of course allows you to enter a new four-digit code. The last item is “unrated programs,” which comes in handy in a couple of different situations. 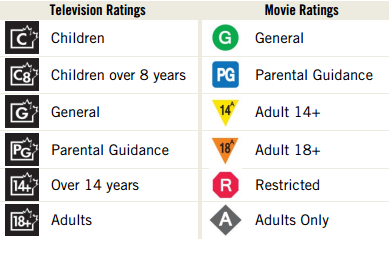 As mentioned earlier, some programs may not actually have a rating assigned, so you can’t be sure if the content is appropriate for your kids. Locking content without a rating removes this risk. The second scenario can happen after your receiver has been reset, or the guide information is reloading. The guide will not have any information in terms of program title or rating, so enabling locks will lock all channels until the guide information has been restored. Have any questions about parental controls on the Advanced 600-Series? Leave us a comment below!